This appetizer is mostly carbohydrates due to the toasted bread. Enjoy one or two before a meal high in protein and moderate in fat. Or turn it into it’s own meal by coating boneless, skinless, chicken breast in a combination of bread crumbs and almond meal, baking it, and topping with edamame/pear mixture! Bring 4 cups of water to a boil in a large saucepan. Add edamame and peas and cook for 5 minutes. Drain edamame and peas and run under cold water. Transfer to a food processor and add garlic, vinegar, lemon juice, and olive oil. Pulse until peas and edamame are mashed and all ingredients are evenly incorporated. 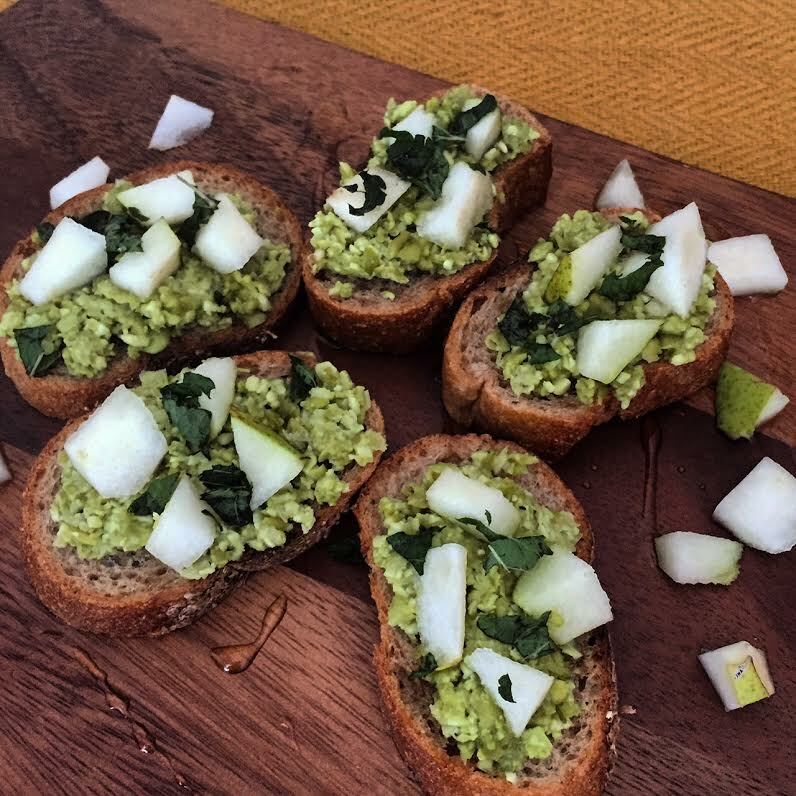 Top each piece of bread with 1 tbsp of edamame mixture, a few pieces of diced pear, and fresh mint.